You said I do! You told your closest friends and family, and you even set a date. Now what? For newly engaged couples, wedding planning can seem overwhelming. Tech to the rescue! Here are our picks for the top 10 wedding planning websites for the newly engaged. Topping our list of wedding planning sites is Wedding Wire. Wedding Wire is free and offers a personalized wedding website that takes only a few minutes to set up. 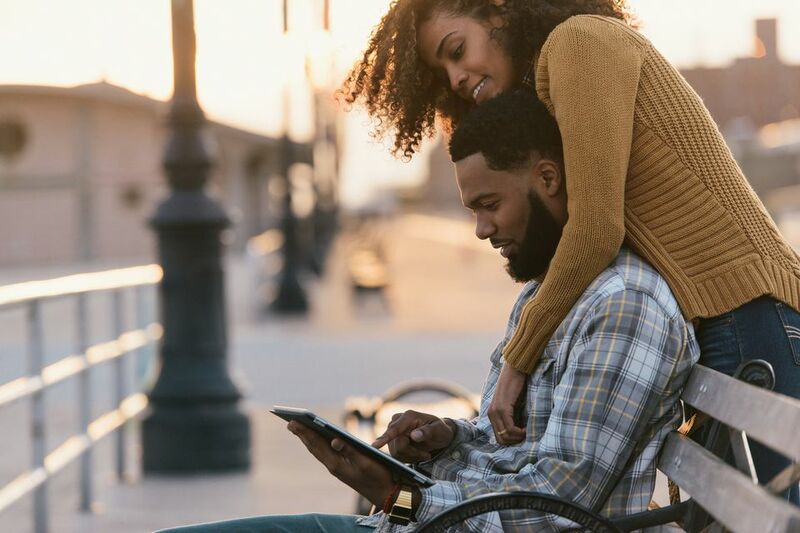 Even members of your bridal party or your wedding planner can set up your wedding website and it includes a handy phone app so you can plan on-the-go. After setting up an account, you are offered customized wedding vendor deals based on your location and the location of your wedding. You can quickly share your happy news through social media with a link back to your page, and the site includes links to helpful planning articles about every step of the planning process. It has a custom wedding registry manager where you can choose from popular suppliers or upload your registry from another site if you’ve already started one. Our favorite feature of the planner is the comprehensive schedule. By entering your wedding date, the site populates a schedule for booking all of your wedding needs, including photographers, florists, venues and more. You won’t forget a single detail! The schedule includes post-nuptial reminders to send thank you notes, upload your wedding photos and change your last name, all with helpful articles and how-tos. 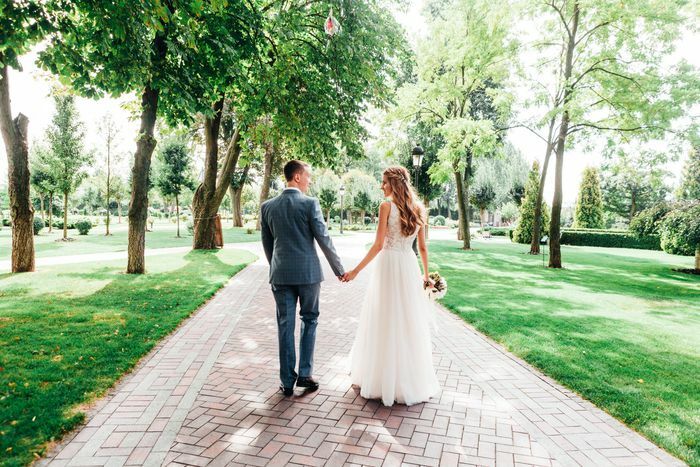 Answer a few quick questions, including your engagement date, wedding date, budget and an approximate number of guests and the planner takes over, instantly providing local wedding vendor deals. A running quiz helps the program get to know you and your planning schedule appears immediately. You can build a custom wedding website in just a few clicks and there are many beautiful themes to choose from. Features include a registry you can share with your guests where you can choose from a large variety of popular stores or sync with other registries. You can add cash fund details or choose a charity, manage your guest list, add photos and tell your wedding story to your friends and family. Easily add venue details, dates and other important information for your guests. The go-to site for wedding planning, The Knot has hundreds of resources to help you plan your big day. Wedding Happy is a free app available in the Google play store or the App Store that helps you to make your wedding plan and sends you reminders. It is ultimately a schedule and to-do list with built-in reminders and a calendar function. You can share your to-do list with others and assign tasks while the app tracks your progress. You can even track your vendor payments and due dates and almost all the apps features can be used without an internet connection. For a one-time fee of around $55 (US), you can build your own wedding website with this easy-to-use app that offers unlimited hosting, photos, and guest list members. The app includes a guest list manager that is free for your guests to use as well as an RSVP manager. The app coordinates your theme with save the date and thank you messages, printed materials, and emails. The sites are pre-built and design skills are not required to make a lovely wedding website. Appy Couple also includes planning guides and checklists and has multi-language capabilities. Guests can even post virtual toasts to your app and see the daily countdown to your wedding. My Registry is a registry management site for weddings, showers and other events. Create an account and choose "Wedding" from the registry options and a list of vendor registries appears for you to choose from. You can also upload your own registry from a location you've chosen. You can create a cash gift fund, customize your background and provide wedding details to your guests including venue details and key dates. This handy site helps you keep track of your gifts, manage thank you notes and easily share your registry with your guests. Mywedding.com is an excellent resource for articles and wedding inspiration. With mywedding.com, in just a few clicks you’ll have your very own wedding website linked to popular registry sites (or upload your own). Your site can include a guestbook, event RSVPs and details about your wedding date. For a quick and simple wedding website, this is a good, free option. You can get lost for hours (or even days) scrolling through Pinterest for wedding inspiration. Do a quick search for weddings and you’ll be able to view color palettes, photography, dresses, food and everything in between. It’s the best place to find DIY ideas and instructions. Remember to try them out before committing to an idea – no one wants a Pinterest fail on their wedding day! Tip: don’t just search "wedding ideas" on Pinterest. You can also find amazing wedding inspiration under crafts, flowers, fashion, shoes, and hair. Brides magazine has been in the wedding business for almost 60 years and their website, Brides.com, offers a multitude of wedding planning articles, how-to tips, trends, imagery, advice, and information. "Real Weddings" are a nice feature too. It’s always a pleasure to see what weddings look like in real life so you can find encouragement from brides from around the world. Want to browse through designer look-books? How about checking out over a million wedding images? From fashion and beauty to exhaustive vendor lists and tips and advice, this easy-to-navigate site has everything the newly engaged couple needs to start planning their big day. Green Wedding Shoes features gorgeous imagery that is sure to inspire. With helpful articles and tips, it is a pleasure to scroll through this popular blog site, even if it’s just to drool over the beautiful pictures.